We are proud of the impact of our world-class postgraduate research and we enjoy gathering together some of our most engaging researchers to share their work with members of the public. The Postgraduate Showcase provides a great opportunity to promote the up and coming talent of Nottingham’s postgraduate researchers to develop their written, verbal and visual communication skills. 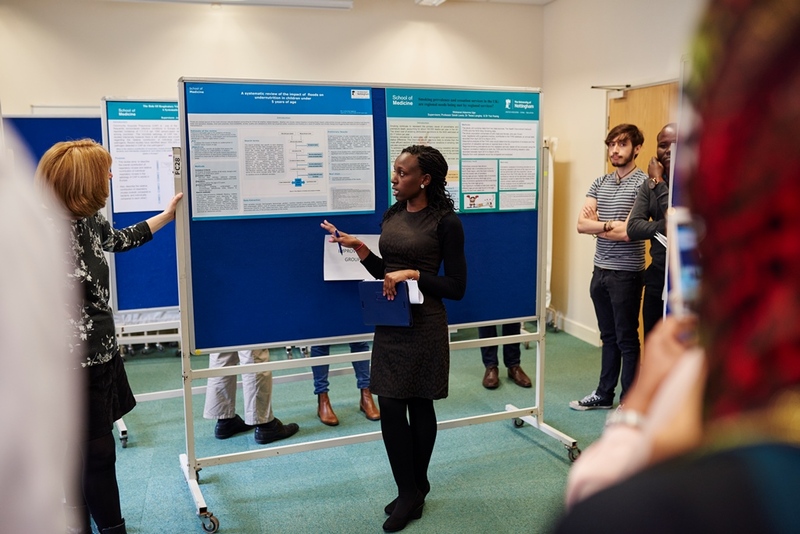 The Showcase enables both the university community and external peers from research universities to find out about the latest research of the postgraduate community. Come and submit a press release, present a poster and stand a chance to win prizes worth a total of RM2,200. The release could report any preliminary findings. It must be written in a language understandable to a general, non-expert audience. The use of technical jargons are limited to a maximum of 2 and must be clearly defined. The name of the author, title, school/department, names of supervisors and contact details must be clearly displayed. The word count is a maximum of not more than 250 words excluding the title, school/department and contact details. All entries must be made by registered postgraduate taught or research students in UNM. A panel of judges will determine the winner for the ‘Best Press Release’ prize. Shortlisted participants will go through to the next stage: Design Your Poster. The Top 10 finalists will compete in the Postgraduate Showcase.